1. India seeks to push reforms, development agenda at WTO. 2. Commerce ministry recommends USD 1,633 per tonne anti-dumping duty on Indonesian sweetener. 3. Vallarpadam terminal adds China-India Express service for faster connectivity. 4. India to build developing country coalition with Brazil, China at informal trade ministers’ meet. 1. Kota farmer grows ‘all-season’ mangoes through grafting. 2. IMF pegs India's growth at 7.3 pc this year. 3. Some reforms in India show benefits of digitalisation: IMF. 4. Drive quality investment in India, says Mauritius. 5. Former NITI Aayog Vice-Chairman pitches for trade pact in services with US. Enter your Container Number to Track Container. Enter your Air Cargo Number to Track Air Cargo. Enter your Bill Of Lading to Track Bill Of Lading. Clarification on the term `Duty` under Sl.No.3 of Appendix-3A of Foreign Trade Policy 2015-2020. Amendment in import policy of Peas under Chapter 7 of the ITC (HS) 2017, Schedule-I (Import Policy). Prohibition on import of milk and milk products from China. Supply of essential commodities to the Republic of Maldives during 2018-19. 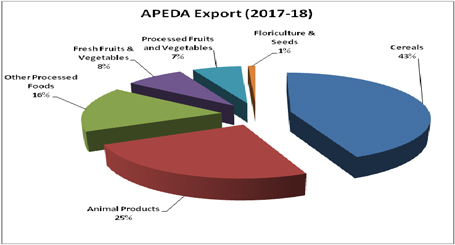 Enlistment of Agricultural and Processed Food Products Export Development Authority (APEDA) under Appendix 2C(Agencies Authorised to issue GSP Certification) & 2E ( List of Agencies Authorised to issue Certificate of Origin (Non-Preferential) -reg.